GO Camp is our Junior High Wilderness Camp. You will get to stay out in the wilderness hut area and enjoy a more remote experience. Camper will get to participate in all of the traditional camp fun like swimming and the slip-n-slide, but also get to play paintball, zorbs, archery, and so much more! If you like a bit of adventure and a lot of fun, this session is for you! Campers will enjoy a full day of fun! This is the first time at camp for many of them so the day is designed to introduce them to a little bit of everything. They will enjoy time on the playground and playing other sorts of games, swim time, craft time, worship, lunch, canteen, and even campfire. They do not want to miss this day! To help us in expediting the day, we ask that your child comes in their swim attire. They may wear shorts and a tee shirt over their swimsuit. Please bring: street clothes to change into after swim time, underwear, socks, shoes, sunscreen, and a towel. These items should all be packed in a backpack/bag for easy transportation. It would also be helpful if you would label all of your child’s belongings. Teams are assigned prior to the camp session. If your child has requested to be with a friend, arrangements have been made for them to be together. If you didn’t request a teammate and would like to, please call the camp office. Team assignments also have grouped children from the same ‘Home Church’ together. Deans: Hope Janesheski grew up as a camper at Michiana and has been actively involved here ever since. She is currently a member of the Executive Board of Michiana and has been the dean of first chance since 2009. In 2011, Chantal Casto joined the team as co-dean. Hope and Chantal are long-time friends who have enjoyed raising their kids together. They attend Fairland Christian Church where they are very active. This week we will explore who God is and how that influences our identity and everyday lives. We will be diving into the lives and experiences of men and women from the Bible, to learn and understand their stories. Throughout this week we will also be taking a comparative look at the stories we have grown up with, in our favorite fictional worlds - think Disney and Pixar. We will talk about how these compare and contrast to what God has to say about who we are as individuals, as families, as communities, and as a world. We will learn what it means to ...destroy speculations and every lofty thing raised up against the knowledge of God… to take every thought captive to the obedience of Christ... (2 Corinthians 10:5). We hope to see you there! Welcome to your first overnight camp planned especially for YOU! You are going to have so much fun! You will get to swim, play, learn, sing, eat tons of great food, and so much more! We will be celebrating Jesus through holidays! Our lessons and activities will include the Christmas and Easter stories that you can share with everyone. Both of our deans are fully committed to camp and have served at Michiana for years and years. 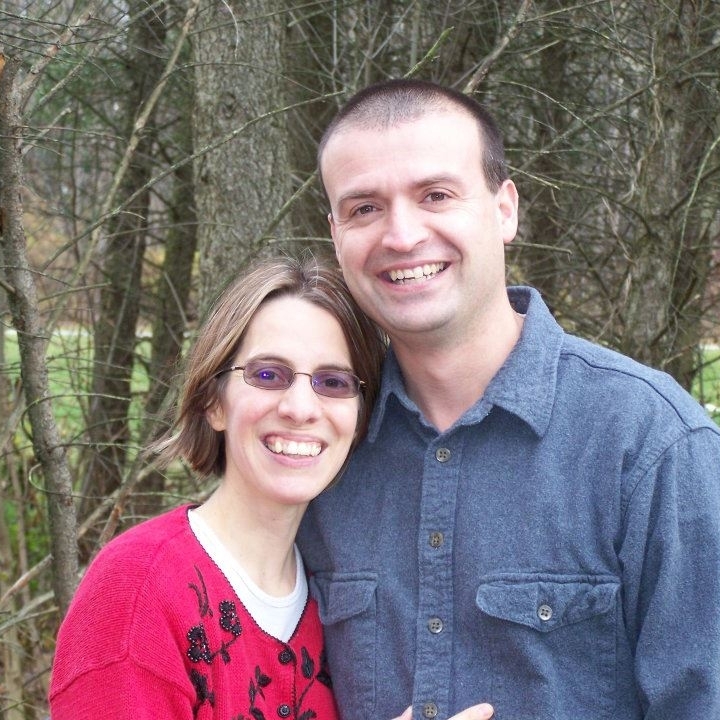 Jeff Oliver is the Senior Minister at Pleasant View Church of Christ in Cassopolis, MI and Karissa Young is a teacher in Niles, MI. Both are married and each have three sons who also love coming to camp. Jeff and Karissa love camp and look forward to their camp session every year! This session includes off-site trips to a nearby pond for fishing and to Five Pines Christian Ministries in Berrien Center, MI to use their climbing wall. GO Camp 2.0 is an additional Junior High Wilderness Camp added due to high demand! You will enjoy a more remote experience by staying out in the wilderness hut area. Campers participate in all of our wilderness activities such as paintball, and archery as well as all of our traditional camp fun. If you like a bit of adventure and a lot of fun, this session is for you! We are excited to have you join our week! We are looking forward to a great week where we will learn what it means to be FULLY COMMITTED to God. We are walking through the life of David and studying how he pursued God with his whole heart. This session will be taking an off-site trip to Sky Zone in Mishawaka. Please follow this link to sign the Sky Zone waiver. This waiver needs to be signed before your child can participate and must be on file at Sky Zone in Mishawaka. If your child has jumped at this location before, the waiver must be within the last 6 months. Deans: Jody Healey is the Family Minister at North Liberty Church of Christ in North Liberty, IN. He has been a dean and faculty member at MCC for over 20 years. Pam Ender works at United Federal Credit Union and has also been a dean and faculty member at MCC for over 20 years. CJ Powell is the Youth Minister at Deer Run Church of Christ in South Bend, IN. Camp for just the girls! Join us as we have fun learning what it means to be Brave Girls for Jesus. This session is filled with all of the traditional fun of camp like swimming, slip-n-slide, games and Bible lessons, but with the added fun of crafts, a pajama party and a banquet! Be sure to bring a dress or special outfit for the banquet and your favorite pajamas for these special events. Do you enjoy a specific trade? Join us for a new camp session! Sign up for Art Camp, Carpentry Camp or Cooking Camp! All will be offered during the same time so you must choose just one area. Camp sessions will join together for worship sessions, meals and recreation, but then will break off to their respective areas. Dean: Amanda Salvaggio is a cook, aunt, musician and servant. She has been involved in ministry since she was 16 years old and loves to serve at camp. "My heart as long resided at MCC. I have been a camper for most of my young life and jumped right into serving as soon as I was asked. I chose to follow Christ, as I know many do, because of my encounters with Jesus and the relationships that I have fostered through my time at camp. As a friend once said, it is "more than just a camp." For me, it has been a place of healing service, challenge and growth and I work now as a dean to hopefully continue the work of so many others that have come before me; offering hope in a time where that seems harder to come by." Deans: Emily Ross, Joel Ross, and Jenna Sloan will be taking charge of GO Camp 2.0 and have a combined 12 years of Go Camp experience. Emily Ross has worked at Michiana Christian Camp for four years as Kitchen Staff. She has a passion for Ultimate Frisbee, and her favorite week of camp is GO Camp. Joel Ross has also worked for four years at MCC on Program Staff. 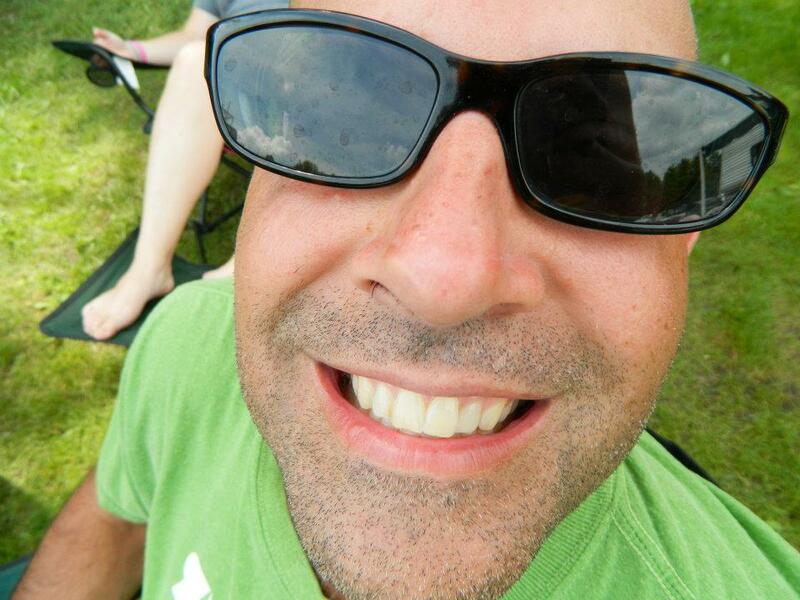 Joel enjoys backpacking and participating on the Jenison Christian Church worship team. Jenna Sloan manages Michiana's social media accounts, and creates digital content for the camp. She likes traveling, and being a part of GO Camp. We will be studying the books of Acts and James. This camp session is designed as two days of fun! You get to attend two days at camp, but sleep at home in your own, cozy bed. The cost of the camp covers both days. God has called all of us, young and old, to serve Him and we get to do that by serving others with love and joy. Our lessons and activities will give you lots of ideas about how you an serve here at camp and back at home. Come ready to have fun with your friends...swimming, crafts, Bible lessons, and so much more! You won't want to miss out! Both of our deans are full committed to camp and have served at Michiana for years and years. Jeff Oliver is the Senior Minister at Pleasant View Church of Christ in Cassopolis, MI and Karissa Young is a teacher in Niles, MI. Both are married and each have three sons who also love coming to camp. Theme: "Fully Committed: Learning to pursue God with your whole heart"
There will be an evening with Christian comedian Tony Wolf, a carnival night and an off-site trip to go bowling. Where are you storing up your treasures? Come find out at 4th and 5th grade camp! This is your first full week of camp! We have so much in store for you! You will get to swim, play games, learn about Jesus, end each day with campfire, and even a few surprises! This is going to be a great week! Dean Jeremy Welch and his assitant deans Gary Boschain and Bob Jones performing their synchronized swimming routine. At High School Discipleship, expect to experience times of great worship, deep discussion, and lasting friendship. This year we will be studying the Gospel of John and we will be taking a look at what it really means to follow Jesus. This is your first night to come to overnight camp! You are going to have so much fun! You will get to swim, play, learn, sing, eat tons of great food, and so much more! God has called all of us, young and old, to serve Him and we get to do that by serving others with love and joy. Our lessons and activities will give you lots of ideas about how you an serve here at camp and back at home. Romans 12:4-5 says “For just as each of us has one body with many members, and these members do not all have the same function, so in Christ we, though many, form one body, and each member belongs to all the others.” Fun activities for the week will include star-gazing with telescopes. Dean: Maegen Oldham has been a lover of Michiana since she was a First Chance Camper. Maegen is a senior at Grand Valley pursuing a degree in Secondary Education with a major in Group Social Studies and a Minor in Earth Science. Maegen loves gardening, hiking, kayaking and culinary arts. She attends Jenison Christian Church where she is the Middle School Ministries Coordinator. Theme: “God is my Anchor"